Edgar Allan Poe's ill-fated career at West Point. Evoking Louis Bayard's Edgar-nominated The Pale Blue Eye, the National Archives' Prologue features documents from Edgar Allan Poe's short-lived military career, including his 1831 court-martial. Friday's Forgotten Books: F. Tennyson Jesse's Murder and Its Motives (1924). Most criminals are great egoists and inordinately vain, but these two qualities are found to excess in murderers. In Murder and Its Motives F. Tennyson Jesse classifies murders into six categories (murder for gain, murder for revenge, murder for elimination, murder for jealousy, murder for the lust of killing, and murder from conviction). She then provides case studies by type: William Palmer (murder for gain, some 15 murders, 1850s), Constance Kent (murder for revenge, 1860; most recently covered in Kate Summerscale's The Suspicions of Mr. Whicher), the Querangals (murder for elimination, brother and sister disposal of spouses, 1881), Mary Eleanor Wheeler (murder for jealousy, killing of her lover's spouse and baby, 1890), Neill Cream (murder for lust of killing, numerous killings, 1892), and Orsini (murder for conviction, tried for an attempt on Emperor Napoleon III, 1858). This lucid and perceptive book is a must for anyone who wishes to construct convincing criminals in their fiction. Sadly, it is out of print. The 1952 edition is dedicated to three people, one of whom is Algonquin Round Table member Alexander Woollcott. 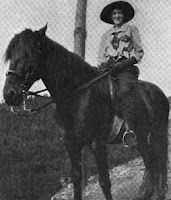 World War I correspondent, playwright, screenwriter, and novelist F. Tennyson Jesse (1888–1958), the great-niece of Alfred Lord Tennyson, is probably best known for her books in the Notable British Trials series such as that on Madeleine Smith (the subject of David Lean's film Madeleine, 1949) and A Pin to See the Peepshow (1934), which was based on the Thompson-Bywaters murder case. Her work and troubled life are discussed in A Portrait of Fryn: A Biography of F. Tennyson Jesse (1984) by Joanna Colenbrander, Jesse's secretary. Museum of the City of NY: Sherlock Holmes. Among the wealth of photographs available for online searching at the Museum of the City of New York Web site are several of the play Sherlock Holmes such as this 1899 photograph; note William Gillette in the center as the Great Detective. New book on The Fugitive. The recently released The Fugitive in Flight by Florida International University professor Stanley Fish examines moral elements in the 1963–68 TV series and protagonist Dr. Richard Kimble as a character that never changes, in Fish's view. Unlikely Mystery Fan #1: Bill O'Reilly. First in a series on unexpected individuals who enjoy or enjoyed mystery-related works and authors. Oxford don Gervase Fen looks into murder at a film studio this week on BBC Radio 7 in Edmund Crispin's Frequent Hearses (1950) with James Wilby; go here for the schedule or to listen online. Most episodes are available for a week after broadcast. Six other Fen titles can be obtained from Felony & Mayhem Press. Happy birthday, Charles Brockden Brown. Gothic novelist Charles Brockden Brown, who may be the first professional writer in the United States, was born today in Philadelphia in 1771. His best-known novel, Wieland; or, The Transformation: An American Tale (1798), was praised by James Fenimore Cooper in 1827 as "a never-failing evidence of genius." He died in 1810. Haggard spoof on National Radio Hall of Fame. This month's audio highlights from the National Radio Hall of Fame and Museum include a spoof of King Solomon's Mines from Jack Benny's January 7, 1951, show with Deborah Kerr, and Edgar Allan Poe's "The Pit and the Pendulum" from Suspense, January 12, 1943. Gothic triumphs: Valancourt's top sellers for 2010. The man with multiple brains. Yale Alumni Magazine gives an up-close and personal view of Dr. Harvey Cushing's brain collection. Curator, U-MN Sherlock Holmes collections. 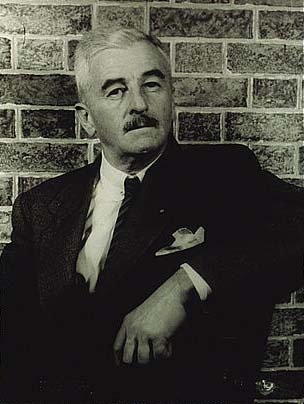 Faulkner on Gavin Stevens, "A Rose for Emily," and Spillane. In both transcripts and audio from University of Virginia, William Faulkner talks about his lawyer character Gavin Stevens, his mystery-related story "A Rose for Emily," and the use of violence in his work, as well as takes a swipe at Mickey Spillane. He used to see James Joyce in Paris and tells of the role of Winesburg, Ohio's Sherwood Anderson in his first book. Happy 85th birthday, Michael Bond. Michael Bond, creator of hapless gastronomic sleuth Monsieur Pamplemousse and trusty canine sidekick Pommes Frites, as well as the beloved Paddington Bear, turns 85 today. His latest Monsieur Pamplemousse novel is Monsieur Pamplemousse and the Carbon Footprint (2010). Catch this Paley Center excerpt from "I Like America: Noel Coward in the USA" on the occasion of Coward's December birthday, which includes an excerpt from "Mad Dogs and Englishmen." The center also offers "Noel Coward on Television" by Barry Monush, which features a clip from a 1956 TV version of Blithe Spirit that starred Coward, Lauren Bacall, and Claudette Colbert. PBS Pioneers of Television: Crime programs. The PBS program Pioneers of Television will feature crime dramas on February 1 and will look at important figures such as Desi Arnaz (The Untouchables), Stephen J. Cannell (The Rockford Files, The Greatest American Hero), Bruce Geller (Mission: Impossible, Mannix), and Jack Webb (Dragnet). Hammond Innes this week on BBC Radio 7. The Doomed Oasis (1960) by avid sailor Hammond Innes (best known for The Wreck of the "Mary Deare") is featured this week on BBC Radio 7, in which British lawyer George Grant searches for a client missing in Arabia. Go here for the schedule or to listen. Episodes can usually be heard online for a week after broadcast. More Hildegarde Withers from Rue Morgue Press. Rue Morgue Press has just issued another volume in the series featuring Stuart Palmer's Hildegarde Withers, Murder on the Blackboard (1932), in which the inquisitive schoolteacher-sleuth goes on a hunt for a peripatetic corpse. This book joins other Rue Morgue reissues in the Withers series: The Penguin Pool Murder, Miss Withers Regrets, Nipped in the Bud, The Puzzle of the Blue Banderilla, The Puzzle of the Pepper Tree, and The Puzzle of the Silver Persian. 50 years ago: Winnie Ille Pu, bestseller. Veni, Vidi, Vici: A look at the PW bestseller list of 50 years ago (1961) reveals Winnie Ille Pu, the Latin translation of Milne's Winnie the Pooh by Alexander Lenard, in spot no. 7. It's still in print today. Read this interesting New York Times piece on its unexpected success. On the occasion of the publication of Horace McCoy's They Shoot Horses, Don't They? (1935) by the British Serpent's Tail Classics, John Self looks at McCoy's "skinny and brutal account of existence at the edge of Depression America." this week on BBC Radio 7. 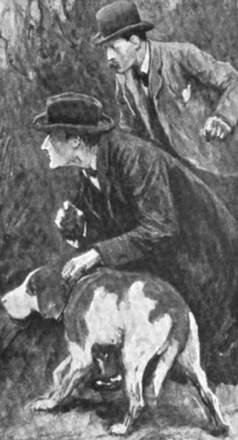 This week on BBC Radio 7, a sinister hound stalks the moors in The Hound of the Baskervilles (featuring Judi Dench), and Sherlock Holmes suspects Professor Moriarty is involved in a Sussex murder in The Valley of Fear (1914–15). Go here for the schedule or to listen; episodes usually can be heard online for a week after broadcast. Rufus King, playwright and author of the Haycraft-Queen Cornerstone work Murder by the Clock (1929) that features the debut of his series character Lieutenant Valcour, was born today in New York in 1893. His plays include Murder at the Vanities (1933) and Invitation to a Murder (which starred Humphrey Bogart in 1934 and was filmed as The Hidden Hand with Craig Stevens in 1942). He died in 1966. Writer Charles Beaumont, best known for his scripts for Twilight Zone, was born today in Chicago in 1929. He also wrote for numerous other TV series such as Alfred Hitchcock Presents, Naked City, One Step Beyond, Richard Diamond: Private Detective, and Wanted: Dead or Alive. He died in 1967.